iPhone 4 users have noticed that their upload speeds were terribly slow and rumors started to fly that AT&T was infact capping the speeds. Today AT&T came out and said that it was not actively limiting upload speeds for the iPhone4. AT&T furter said that users who have experienced slower speeds is due to the after-effects of a software defect in the equipment AT&T uses in some towers. AT&T also said that the issue only affected less than two percent of wireless customers and the software fix was on its way. 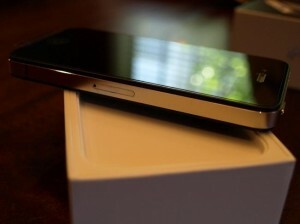 iPhone 4 users began reporting over the last weekend about their upload speeds that seemed significantly reduced. Many users noticed that their uploads seemed to be capped at 100kbps. Not all users in every city experienced this issue. The issue was with the Alcatel-Lucent hardware that AT&T uses. Well with that now soon to be resolved, you just have to wait a bit longer before you upload those HD youtube videos! Previous Gasoline made from CO2 soon!